For Lauren Sims, her contribution to the completion of Mount Pleasant ’s new Town Hall meant much more than just a job well done. Playing an important role in a major construction project would certainly engender a significant sense of accomplishment and undoubtedly serve as an impressive resume builder for just about anyone who earns a living in the world of government service. But for Lauren Sims, her contribution to the completion of Mount Pleasant’s new Town Hall meant much more than just a job well done and the probability of continued professional success. Mount Pleasant, after all, is her hometown. Sims, just 27 when work on the new Town Hall was finished, originally planned to attend Clemson and study physical or occupational therapy. Instead, she chose to heed the advice of one of her high school teachers at Bishop England, David Held, who had encouraged her to major in Political Science. “I was interested in government in high school, and I took a freshman Political Science class at Clemson and loved it. That’s when I realized that this was what I was supposed to be studying,” she said. 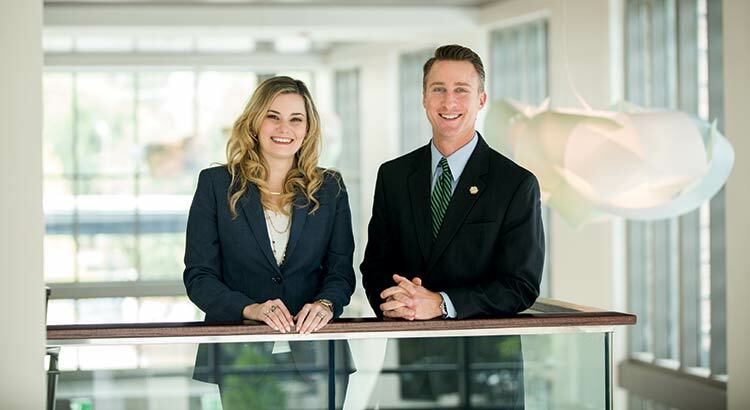 Executive Programs Manager Lauren Sims and Town Administrator Eric DeMoura co-managed the construction of the new Town Hall. After graduating from Clemson, Sims returned to the Lowcountry for graduate work at the College of Charleston. One of her classes required her to interview a public administrator. 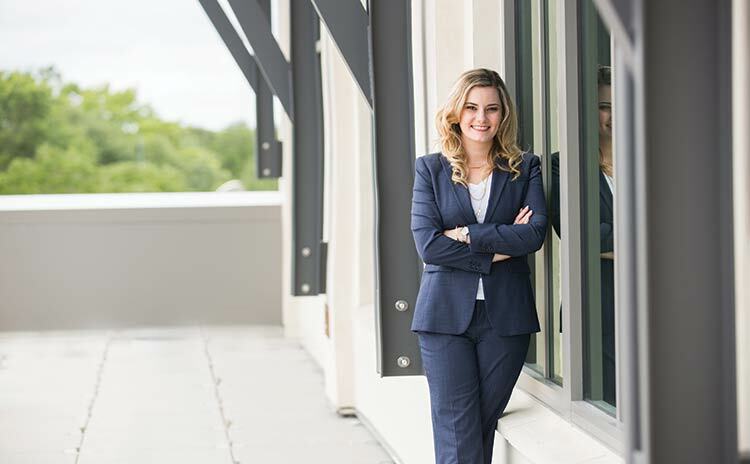 She did some research and discovered that Eric DeMoura had earned an undergraduate degree in Political Science and a master’s in Public Administration at Clemson – one degree she already had and another she was working toward. Even better, he was the town administrator of her hometown – Mount Pleasant. 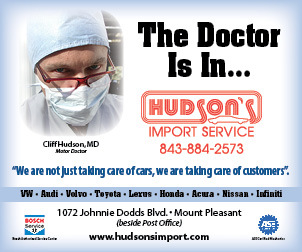 While interviewing him for the paper she had to write, Sims learned that the town had an internship program. Not long after, they got to know each other better when she took a Finance and Budget class that DeMoura taught at the College of Charleston. Later, now on the nonprofit administration track at C of C, she needed some working hours in her quest for a master’s in Public Administration. She decided that her future was in municipal work and contacted DeMoura about an internship during the summer of 2012. “I admire people who work for nonprofits, but I realized I was best suited to serve the community through local government,” Sims commented. That September, she was hired full-time, learning the ropes of town government by working on special projects. By 2013, she and DeMoura were co-managing the construction of the new Town Hall. DeMoura has never regretted giving her the opportunity to serve her hometown and to play a key role in the construction of the new Town Hall. Sims pointed out that her job as day-to-day point-of-contact for the new Town Hall wasn’t all that difficult, but “it’s just a lot to do.” One of her major challenges was moving 250 employees from the town’s former collection of buildings into the new facility without interrupting the services the town offers to the residents of Mount Pleasant. The transition from old and dilapidated to new and efficient took around a week. Sims noted that some people said the new Town Hall wasn’t a necessity, referring to it as “a grand project.” She had a different opinion, insisting that the new building was needed for a variety of good reasons. “So much heart, thought, time and effort was put into this building. 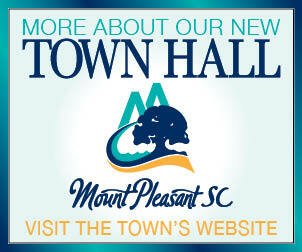 It brought our Town Hall into the 21st century, and it reflects Mount Pleasant,” she said. She said that although she and DeMoura spearheaded the project, an entire team of town employees helped make things run smoothly from start to finish, especially those in the Purchasing and IT departments. “Employees in every department helped design their own space,” she added. Sims had been wearing more than one hat in Mount Pleasant government since 2013, so her job with the town didn’t go away just because the new Town Hall was complete. She also oversaw strategic planning, government outreach and performance measurements – determining how the town can better use its resources, financial and otherwise, and provide services to Mount Pleasant residents more efficiently. Concerning his decision to hire Sims as an intern and then as a full-time employee, DeMoura related a story about the late Daniel Patrick Moynihan, who was in the U.S. Senate for 24 years and also served as U.S. ambassador to the United Nations. Moynihan had his choice of interns, and most of the applicants were from Ivy League schools. Tim Russert, who attended John Carroll University in Ohio, decided to apply as well and was surprised to receive an internship with Moynihan. He later asked the senator why he chose him over all those who attended prestigious schools. “These Ivy League kids – what you know, I can’t teach them. What you don’t know, I can teach you,” he told the John Carroll University grad. Russert went on to be Moynihan’s chief of staff and later the longtime host of “Meet the Press.” DeMoura is confident that Sims will continue to grow professionally as well. “Lauren can be successful in whatever she does. It’s my job to put her in a position to succeed,” he said. Despite her young age, by the time the new Town Hall was completed, Sims had already made great strides toward leaving a lasting legacy in her hometown of Mount Pleasant – and she’s thankful to have had the opportunity to play a role in creating a building that is expected to serve the town for at least three quarters of a century. “To be a part of this building is a very exciting and humbling experience,” she commented. “She’ll always look at that building and smile about it,” DeMoura added.